In further investigating the history of the Bevan family, I have come across the case of Gerard Lee Bevan (1870-1936). He was the grandson of one of the professionals in our sample: Robert Cooper Lee Bevan. A number of Robert’s children and grandchildren followed him into banking as partners in Barclays Bank. Gerard Lee Bevan, however, was not deemed quite sharp enough to work for Barclays and so was sent to work as a stockbroker. As Margaret Ackrill and Leslie Hannah have pointed out in their history of Barclay’s Bank, this was a common strategy for dealing with children who were not cut out for life as a clearing banker. Stockbroking was believed to be stable, but easy, work, and the fact that Barclays had extensive dealing with stockbrokers meant it was easy for family members to become partners in stockbroking firms. 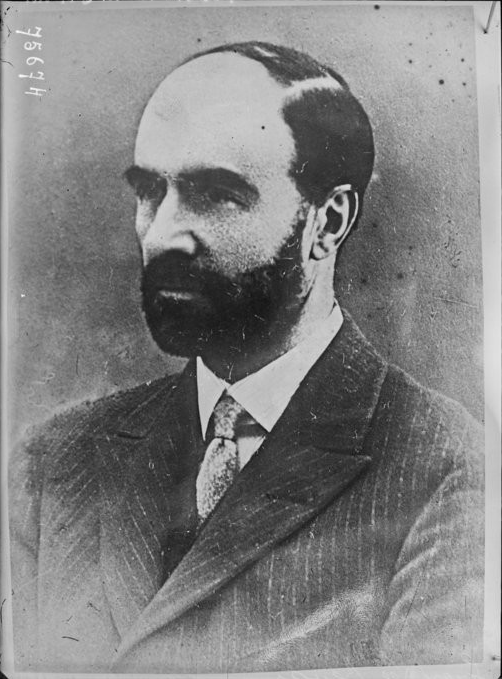 In 1893 Gerard became a partner in Ellis & Co, a stockbroking firm; he became a senior partner in 1912. From 1916 he was also chairman of the City Equitable Insurance Company. Although both firms had other directors, there was little oversight, something that enabled Gerard to commit one of the most notorious financial frauds in Britain in the twentieth century. Gerard amassed a significant fortune while working for Ellis & Co. By 1920 his interest in the partnership of Ellis & Co had increased to about £1 million on paper, while the other partners’ interests were about £100,000 in all. This disparity was reflected in the lack of interest the other partners took in the financial matters of the firm, they revealed considerable ignorance of such matters at the trial of Bevan in 1922. The apparent success of Ellis & Co lead to Gerard accumulating various directorships of other companies, including Leyland Motors. There was a similar lack of oversight at the City Equitable Insurance Company, where the board of directors consisted of men with little knowledge of the insurance business. The end of the First World War saw a period of increasing speculation in the financial markets. Ellis & Co. became, unbeknownst to its other partners, in effect a front through which money was raised and then channelled into speculative investments. Gerard ensured that Ellis & Co could use the securities held by the City Equitable Fire Insurance Company. He also made loans from one company to the other, these were substantial loans, starting at £319,000 in 1919 and rising to £911,000 in 1921. He also directed the City Equitable Fire Insurance Company’s investments into ventures which he himself had an interest in, notably a Brazilian ranch scheme which was designed to increase the value of land he and a few others had purchased in Brazil in 1918. The City Equitable Fire Insurance Company invested £445,374 in that scheme. Unsurprisingly, these unscrupulous activities left Ellis & Co. and the City Equitable Fire Insurance Company in rather perilous positions with large debts and few assets. In order to cover up the situation, Gerard issued false balance sheets in 1919, 1920 and 1921. The downturn that began part way through 1920 placed increasing pressure on the two companies. In late 1920 he used his position on the First National Re-Insurance Corporation to gain control of two insurance companies: the Greater Britain Insurance Company Limited and the City of London Insurance Company Limited. Gerard proceeded to strip these two companies of their assets to try and prop up Ellis & Co and the City Equitable Fire Insurance Company. Such measures were not enough and in June 1921, Ellis & Co. and the City Equitable Fire Insurance Company owed nearly £2.5 million while the difference between their liabilities and assets was £560,000 (worth about £24.5 million today). The two companies struggled on, but eventually both failed. Faced with his schemes collapsing around him, Gerard fled to Vienna with his mistress, the French dancer Maria Pertuisot. It has been suggested that he was hoping to reach Soviet Russia, had he done so extradition would have been unlikely. He took a number of precautions to avoid detection – he dyed his hair and moustache, and obtained a fake passport. After four months on the run he was eventually tracked down and arrested. However, according to the Cornishman, the two detectives who found Bevan ran into some difficulties arresting him: ‘Bevan fought the detectives for fully half-an-hour, knocking both men down, before being overpowered, and it is reported that he afterwards tried to poison himself, and later shammed insanity.’ Despite these efforts, Gerard was returned to Britain and put on trial. He was sentenced to seven years in prison. Following his incarceration his wife, Sophie Kenrick (a member of the notable Birmingham iron founder family who were closely connected to the Chamberlains), divorced him. He served five of the seven years, his sentence being reduced for good behaviour. The story goes that in his final interview with the prison governor he thanked the governor ‘as one old Etonian to another’. On his release in 1928 he and Pertuisot left Britain and settled in Havana, where they married. Gerard lived out the remainder of his life in Cuba running a distillery. Besides being entertaining, the story of this rogue banker has a number of implications for our project. It drives home the power that professionals could wield. Gerard came from a highly respectable family, went to Eton and Trinity College, Cambridge. He entered the world of finance as someone with connections that brought him considerable esteem and trust. He rose to the top of long-standing firms with prestigious histories, Ellis & Co., founded in 1788, had played an important role in funding the war against Napoleonic France. The importance of family and the status of the professions in society as a whole are precisely the issues which we are examining in our project. The regard in which he and his profession were held by people within the City and by his fellow directors (who exercised little oversight) meant he was able to commit fraud on an enormous scale before anyone took an interest. A tale which sounds all too familiar to our ears. Matthew Hollow, Rogue Banking: A History of Financial Fraud in Interwar Britain (Basingstoke: Palgrave Macmillan, 2015), 46-54. P.S. Manley, ‘Gerard Lee Bevan and the City Equitable Companies’, Abacus, 9/2 (1973), 107-15. Margaret Ackrill and Leslie Hannah, Barclays: The Business of Banking (Cambridge: Cambridge University Press, 2001), 87. Cornishman, 21 June 1922, p. 3. Hull Daily Mail, 17 June 1922, p. 1. Dundee Evening Telegraph, 25 April 1936, p. 1. Aberdeen Journal, 27 April 1936, p. 7.